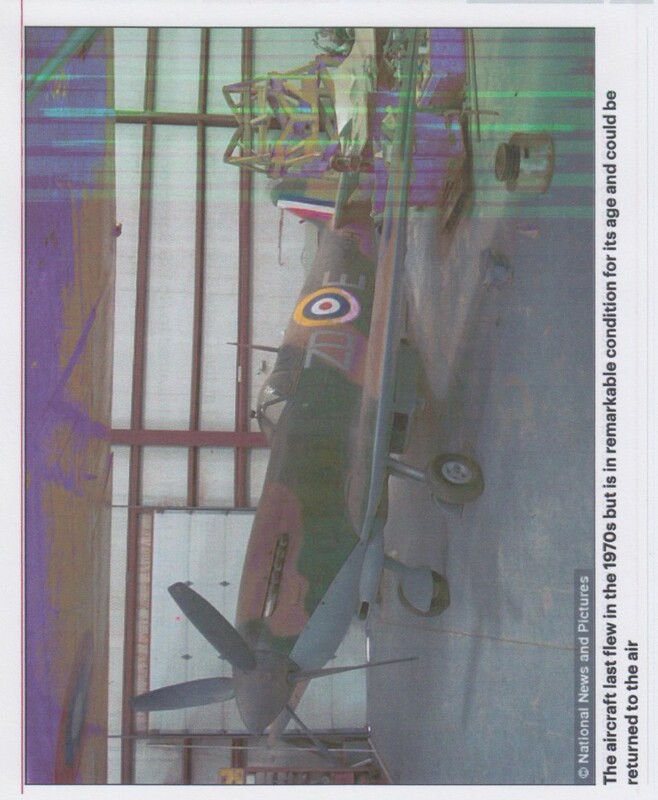 A Spitfire that saw action in WW11 and then used in The Battle of Britain Film up for sale. This is a very interesting article, almost unbelievable. The Spitfire a Mk 1XB built in 1943 at the Castle Bromwich Aircraft Factory as MH 415 and went into action and served with 129 Squadron at Hornchurch in August 1943 where it was issued with the squadron code DV G. It was flown regularly by Squadron Leader Henri Gonay, a Belgian who fled when his country was overrun in the Blitzkrieg. It also served with 222 and 126 squadrons. In August 1946 it was sold to the Dutch Airforce where it was based in Java. In 1953 it was sold to the Belgian Air Force. In June 1956 it was sold to Belgian company COGEA who worked with Nato forces. In 1961 it was leased for film use in The Longest Day which was filmed on location in France. The aircraft was painted in camouflage and flown with 340 Ile de France squadron as codes GW – B. By this time MH415 was purchased from Cogea by Rousseau Aviation of Dinhard in France where it was in open storage for some years. Between 1966 and 1968 the Spitfire was used in filming for The Battle of Britain, filming scenes in Spain, France and England. In was then transfered to an American stunt pilot from the Battle of Britain film, Wilson ” Connie ” Edwards, who took it as down payment for his role in the film. He shipped it to his ranch in Texas where he had a landing strip and flew it for a couple of years, it’s last flight was in 1973, and then left it in his barn, and since then has been in the barn for 40+ odd years. 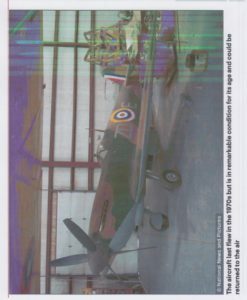 The Spitfire was recently listed on Platinum Fighters website and Facebook pages and it has had an amazing responce with hundreds of people visiting the website from all over the world. It may have been in the barn for 40 years but it was in good dry condition so there was no rusting or corrosion. It was obviously covered in an inch thick layer of dust and cobwebs but that was all. It’s current value as it stands is probably worth at least £1.5 million British pounds and if the propellors, engine and things were checked, serviced and restored it would probably fetch up to £4 million British pounds. What a History. If any of you have a few extra RAND and would like to buy it now’s your chance. Herewith a recent photo of this amazing aircraft. Until the next time, enjoy.